As the Mobile Housing Board moves forward with plans to convert its 13 properties to the U.S. Department of Housing and Urban Development’s Rental Assistance Demonstration (RAD) model, at least one other Southern city has been successful using the program to infuse cash into its aging infrastructure. Of its nine properties, the Macon-Bibb County Housing Authority in Georgia is in the process of converting its fifth into the program, Executive Director June Parker said. The Macon-Bibb County Housing Authority saw federal subsidies dip and, like many other authorities across the country, looked to RAD for a shot in the arm, Asset Manager and Housing Assistance Director Mike Austin said. For Macon, the conversions started about three years ago. 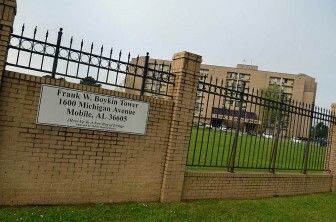 (Photo | Lagniappe) The mobile housing board’s frank w. boykin tower is one of several properties targeted for development using hud’s rental assistance demonstration (rad) model. There are quite a few differences between Mobile’s issues and Macon’s, which could mean a difference in the plan’s success rate here. 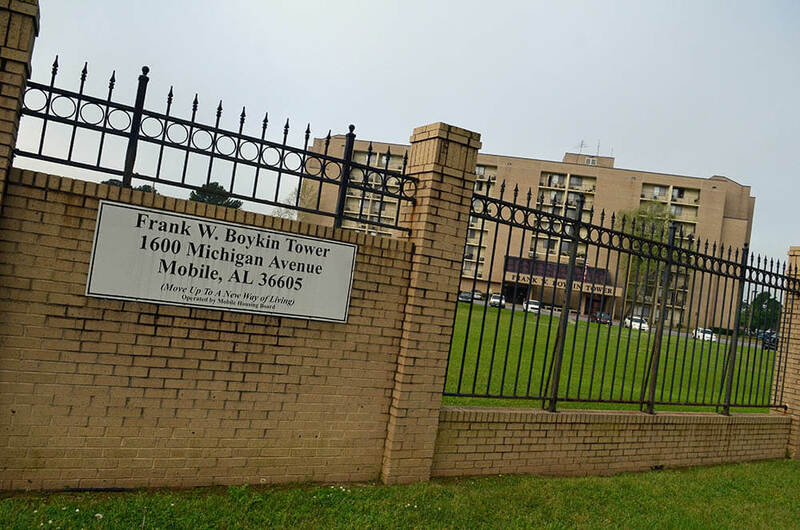 While Parker said Macon had two properties that “needed a good bit of renovation,” Mobile is planning redevelopment for at least twice as many properties. Also, Mobile applied and was accepted for a portfolio-wide RAD conversion, meaning all 13 of its properties will be under the RAD umbrella. In a presentation to the board last week, Mobile’s program director James Brooks said the south side properties of Thomas James, R.V. Taylor and Boykin Tower, as well as Roger Williams Homes on the north side, are ideal for redevelopment under RAD because of their locations and the amount of work needed. Hollyhand Development and Pennrose will be the developers on the south side, while Hunt Companies Inc. will handle Roger Williams Homes. Brooks said despite notions to the contrary, MHB will not lose ownership of the properties with private developer involvement. Board Chairman Don Langham responded with “that’s what we were made to understand,” before Brooks explained further. Brooks emphasized that MHB currently doesn’t own its properties, HUD does. Under RAD, those properties not needing tax credits for redevelopment will be developed and controlled solely by MHB, Brooks said. For the properties in need of tax credits, each developer, he said, will be given a 15-to-20-year management contract for those properties. MHB will lease the land to the developers. The properties will revert back to MHB control at the end of the contract terms. 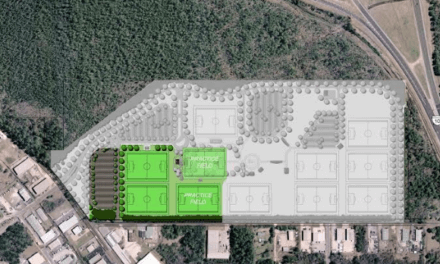 More information on the agreements would be available once they are completed, within the next two to four weeks, MHB Executive Director Dwayne Vaughn said. The scale of redevelopment for these properties will also pose a problem in Mobile that Macon didn’t face. For instance, Parker said Macon was able to complete renovations of individual units at a rate that allowed them to place the affected residents in a courtesy apartment while the work was being completed. Most of the work was completed within a day, she said. In Mobile, Brooks mentioned using 9 percent Alabama Housing Finance Authority tax credits for off-site replacement housing for residents affected by the redevelopments while existing structures are demolished or renovated. An audit conducted by the office of HUD’s inspector general listed concerns over adequate controls in reference to “site conditions and residents’ ability to return after conversion” among several problems with the implementation of RAD by the Office of Public and Indian Housing. In the audit, the inspector general’s office recommended HUD “modify the front-end risk assessment” for RAD, among other changes. In addition to the redevelopment projects, Brooks said, there are a number of MHB properties they could “revitalize in place,” including Oaklawn, Orange Grove, Renaissance and others. Macon moved to a centralized maintenance staff for its properties, a move Mobile made in 2014. 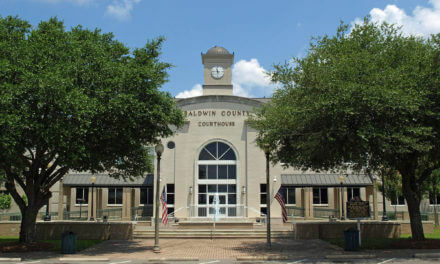 In Macon, Parker said the housing authority was able to convert its properties to RAD without cutting a single employee. This is in contrast to fears voiced by some employees at MHB, who said they were told by Vaughn of job loss through the conversion process and cuts to the low-income public housing department. Vaughn later clarified via email that while the plans to move forward with RAD are continuing, the way the properties will be managed under the program has not been determined. He added many housing authorities have used third parties to manage tax credit properties and affected MHB employees would be given a chance to train for positions under private management companies. Vaughn said the board would get a breakdown of employment through RAD at its next regularly scheduled meeting in April. The meeting will be held Wednesday, April 13, at 9 a.m. at the MHB office.